After her family rushed to the hospital, the police forced them to sign a liability waiver by threatening to give Ms. Jin a heavy prison sentence if they refused to comply. Ms. Jin's husband and daughter stayed at the hospital for four days, but she never regained consciousness. She passed away around 4 a.m. on October 10. Her body was cremated on the same day without an autopsy, and the death certificate issued by the hospital said she died from a stroke. She was 66. Ms. Jin was arrested on September 19, 2018, at her local residential committee office. She went there to request documents required to reinstate her pension, which had been suspended because she had previously been imprisoned for 13 years for refusing to renounce Falun Gong. She explained to the office staff that her imprisonment for her faith was illegal and that her pension should not have been suspended. Instead of issuing her required documents, one staff member called the police. Officers from Xinhua Police Station came and took her to the Nangou Detention Centre. It wasn't clear what happened to her during her brief detention that caused her to fall into a coma and die days later. Ms. Jin's death came only three and a half years after she was released from prison. While Ms. Jin was imprisoned between 2002 and 2015, her husband, Mr. Shen Shan, was serving an 11-year term for their shared faith. 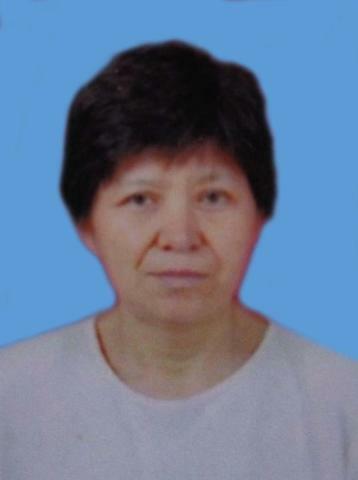 Their daughter, Ms. Shen Chunting, was also given three years of forced labour for practising Falun Gong. The family finally reunited in 2015, only to lose Ms. Jin three years later. Ms. Jin began to practise Falun Gong in October 1997 when she was suffering from a quick health decline after being struck by a financial scam and losing more than one hundred thousand yuan. She thanked Falun Gong for guiding her out of the deep depression and helping her regain health. Ms. Jin was first arrested on July 20, 1999, the very day the persecution of Falun Gong began. She was given six months of forced labour. Her family was forced to pay 11,500 yuan before she was released on January 7, 2000. Between February 2000 and 2001, she was arrested three more times, which resulted in two more terms of forced labour. When she held a hunger strike to protest the arbitrary detention, she was tortured and force-fed. On April 6, 2002, Ms. Jin was arrested for the fifth time while distributing Falun Gong materials. During interrogation, the police tortured her by having one officer sit on one of her legs while another officer pulled her other leg up to her head. Even after she fainted from the excruciating pain, officers continued the torture on her other limbs. She was unable to move upon regaining consciousness. Seven months after her arrest, Ms. Jin was sentenced to 13 years in prison in November 2002 and taken to Liaoning Women's Prison on April 8, 2003, a hellish prison notorious for using egregious methods of torture on Falun Gong practitioners. After the prison guards found Ms. Jin passing Falun Gong scriptures to other practitioners, they took her to an office, stripped her upper body of clothes, poured water onto her head, and then shocked her with electric batons for more than two hours. At one time, they also shocked her mouth, which was later full of blisters. She had difficulty eating and was unable to close her mouth for months. In a campaign to force Falun Gong practitioners to renounce their faith, prison guards ordered inmates to beat them. Two inmates took off Ms. Jin's underwear and stuffed it into her mouth. They then held her on the ground and stomped on her. Another inmate whipped her back with a clothing rack and a rubber club. Her back was covered in bruises, and she had difficulty breathing. The guards rejected her request for medical treatment after sustaining the injuries, for fear their brutalities would be exposed. Before she recovered, another guard forced her to bend over with her hands touching the ground because she refused to recite the prison rules. She was forced to remain in this position for more than a week. Her face and feet were severely swollen. In addition to the hard labour and beatings, the guards also deprived Ms. Jin of sleep. She was allowed to sleep for only one hour for a long period of time. Sometimes the guards didn't allow her to use the restroom, forcing her to relieve herself in her pants. With the intensive, nonstop torture, Ms. Jin developed severe heart disease, high blood pressure, and kidney problems. Her heart once stopped beating in 2013. After 13 years of imprisonment, Ms. Jin returned home on April 5, 2015. She passed her retirement age while in prison and missed the deadline to apply for her pension. She only received 500 yuan (approx. $72 USD) of living allowance each month. While she was working on her retirement paperwork, the social security office in Fushun City suspended retirement benefits for people who served prison terms before they retired. Ms. Jin had been seeking remedies for her pension at different government agencies since last year but didn't make any progress. Her latest efforts to request supporting documents from the local residential committee only led to her sixth arrest and eventual death.